November 15, 2017 was my final legislative meeting as a School Board Director and Board President. It was bittersweet because I know board directors have an opportunity to accomplish significant and important good work for the district and there is much more work to be done. But I also know that Seattle School Board Directors are not given the tools, compensation or respect they need to fully do their job as well as they could. So serving on the board, especially for those with younger families, can be a hardship we simply cannot afford. Thank you to staff for the beautiful flowers, and to Clover and Cashel for your kind words. So I want to thank the people of Seattle and the Seattle schools community for the honor of serving you these past four years. I am proud and humbled to have been able to serve you and the district as your president, as your vice president, as the chair of the Audit and Finance Committee, and the Executive Committee, and to have served on the Curriculum and Instruction Committee for two years, including during the elementary school math adoption. I have also been able to serve on the Scholarship Committee, and serving as a liaison to and from the community. I joined the board with the objective of connecting district policy to the communities, to our families, establishing greater respect for the many voices of our communities, for establishing greater fiscal responsibility, to invest in curricular materials, beginning with math, because we were behind in our curricular materials, embracing the diversity of our district and valuing and helping all our students fulfill their potential. I believe I have been true to those objectives. I aimed to share with you all my skills and experience as a journalist, a parent, a researcher, a public education advocate, a former fact-checker for Consumer Reports, an advocate for public education, my background in communications and, to some degree, a background in education, and a longstanding commitment to social justice in all its forms. It’s my sincere hope that I have been able to do that: Some good. 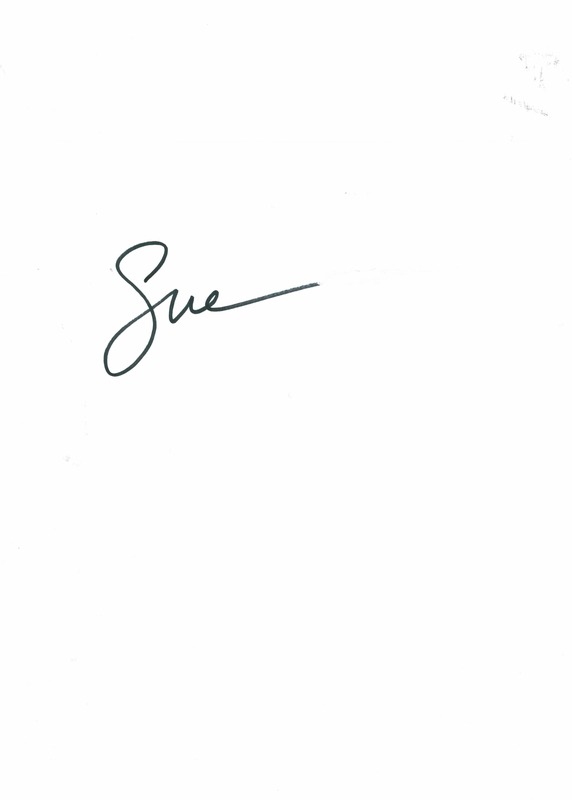 Another more sardonic friend, who’s actually with us this evening, suggested a campaign slogan of: Vote for Sue Peters – She’ll make things less worse! I hope at minimum, I’ve at least done that….! It’s a sport in this town to beat up on the School Board, regardless of facts, information, regardless of who’s on the Board, it seems. It’s a shame and it doesn’t serve anyone well. I honestly believe this current board is one of the best, most dedicated and skilled we have seen in many years. It’s also one of the most racially diverse. And progress has been made in these four years. Of course, though, it’s never enough. I would also like to tell the people of Seattle that there are good, dedicated people working in the John Stanford Center. Please support the district when it’s doing good work, and let us know when it isn’t – constructively would be helpful. I also want to take a moment to thank the staff members who helped me do my job. Yes, I ask a lot of questions; I am trained to do that. I need to have facts on which to base these very important decisions because the buck does stop with us. Whatever happens, the people hold the School Board accountable for any decisions that are made. It’s a huge responsibility which I take very seriously. I also want to thank all the families who have come to me over the years, to my community meetings, who have emailed me; families, students, community members — your input has been invaluable and it has helped me do my job. I’ve been advised that I should list accomplishments, some of things that have happened in the last past four years, so I will do that. But I do acknowledge that it’s never a solo act. It’s necessarily a team sport here. We work together as colleagues on the board, we work with staff, we work with the superintendent, we work with the community. These are actions I have been fortunate to be a part of these past four years. I am proud to have authored or cosponsored policy and amendments that established or addressed many important issues large and small, from balancing a budget during a time of fiscal crisis to selecting more environmentally safe, nontoxic surface material for our tracks and fields. Granting students and parents rights regarding assessments, including the right to opt out. Passing a resolution that affirmed our districts commitment to our district’s rich diversity and our immigrant students. Passing a resolution reestablishing our board’s commitment to truly public – not charter—schools. Passing a resolution recognizing the indigenous people of the land we are on, the Duwamish Tribe. Passing a resolution establishing Indigenous People’s Day – which earned us a mention and faux mockery on Stephen Colbert’s satirical show, The Colbert Report….! I have supported an efficiency review (audit) of the central administration so we can be fiscally responsible and can make sure that we are directing as many resources as possible to all our schools. 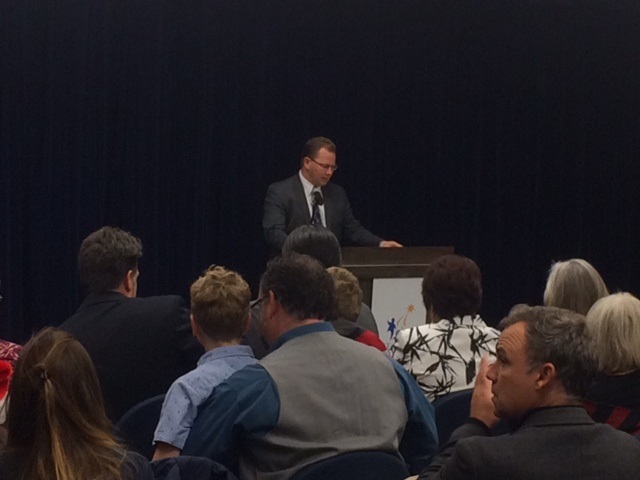 I have supported funding for International Baccalaureate at all of our three of our high schools that offer it. I have supported advanced learning – acknowledging the need, investing in opportunities, increasing diversity, and simply defending these children from the unseemly and irrational prejudice that is fomented by too many in this district. I have supported our teachers. And sometimes that means — I’ll tell this to our new directors who are joining us– sometimes you are going to find yourself all alone with a vote. You might be the only one in a 6-1 vote. Everyone one of us up here has been that position. Don’t be afraid to do that. I was the only one to vote against an injunction against our teachers during the teachers’ strike. To our new directors, don’t be afraid to do that. I am proud of being a member of the Board majority that advocated for adding a special ed mandate to city’s pre-k program and maintaining EEU program at the University of Washington. 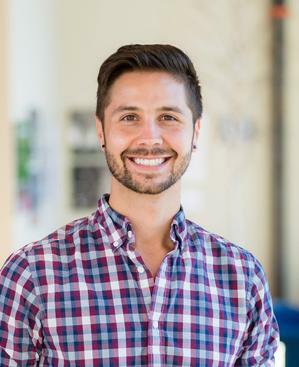 I was part of the board that passed the belltime initiative that better aligns student school schedules with their biological needs, making Seattle a national leader in this area, as other districts follow suit. In my four years on the Board we have increasingly developed a Board majority that values curriculum and understands that a key component of equity and is offering every student a fair chance at success. To that end, we have adopted K-5 math materials, we are piloting middle school math, adopted social studies middle schools materials, supporting “Since Time Immemorial” and now a commitment to Ethnic Studies. I am proud of this work. It is fundamental work. Has balanced the budget through good times and lean. That has transitioned to superintendent leadership peacefully and will continue to do so. That has recognized that the district can no longer close or sell schools and buildings, but has instead committed to opening and building new schools almost every year I have been on the board. I am part of a board that has voiced a commitment to every student of every race and every gender. But we must make good on that promise. Funding as many educators and counselors as possible for our schools. Recognizing that we have many students of various needs and there are gaps in outcomes that we can and must impact. There is still much work to be done, no question about it. We need to create a district with more vision, more imagination, greater stability for our students and predictability for our families, more options not less, in our schools—more joy, less stress. I would like to extend my best wishes to my continuing colleagues Leslie Harris, Betty Patu, Rick Burke, Scott Pinkham and Jill Geary. They are conscientious, intelligent and understood their role and duty they have to the public that elected them. Each brings valuable skills and insights. 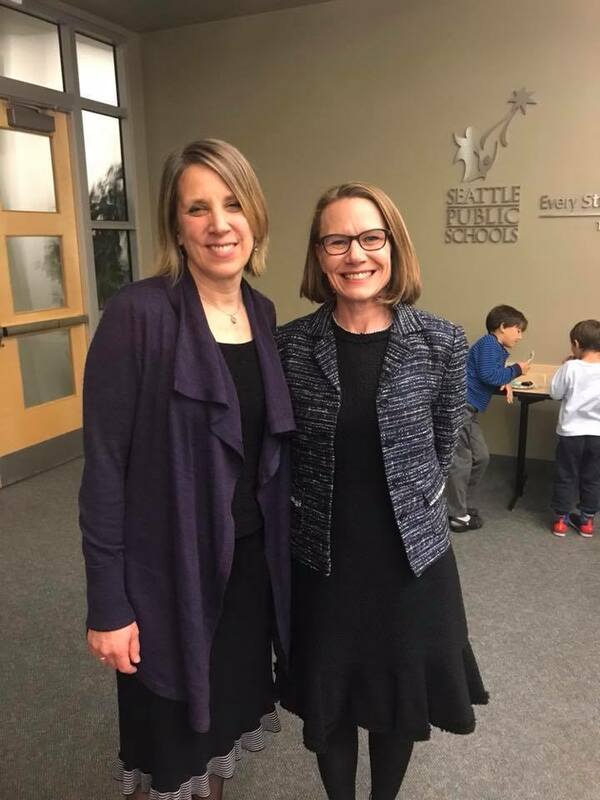 I congratulate my longtime colleague and friend Betty Patu on her decisive re-election to the school board for a third term and an opportunity to complete her valuable decades of work on behalf of the students of Seattle Public Schools. And I welcome newly elected members Eden Mack and Zachary Pullin DeWolf. Thank you for stepping up. The district is fortunate to have you. This is a rewarding job and, of course, challenging. Your decisions will matter to so many, and will have a lasting impact. I know neither of you take the job lightly. But I can also assure, you will be in good company. And there will be moments of laughter and joy. –I found it amusing on the campaign trail this time around, on behalf of other candidates, there was a candidate who erroneously claimed this current board doesn’t even speak to each other. I had to laugh when I think of how many times at meetings I’ve wished the Board talked less to each other– myself included. My tip to the new directors is: Do your homework. There is a lot of reading and thinking to do. Vote your conscience. And don’t be afraid to be the sole vote if that is where your conscience and intelligence lead you. The day must come when we treat the job of Seattle School Board Director with the respect and resources it deserves and requires, so that it does not have to be hardship and sacrifice to serve. After all, we directors are called upon to oversee the largest school district in state and a $1 billion budget. And no, the mayor and city should not be called upon to take over. It’s crucially important that the people of the city have elected representatives on the school board who are answerable to them, directly. Research has shown that this is still the most accountable model of school district governance. In terms of compensation, the board’s maximum stipend of $50 a day – only on days when we have meetings — has remained unchanged since the 1980s. Adjusting for inflation alone, it should at least be $100/day. That still doesn’t take us very far. Board directors are only compensated for meetings. We are not paid anything for hours spent researching and reading. Directors do not have their own direct staff or office space, other than two shared staff members and shared space. I find it interesting that no one has made a point of the fact that we are now going to have four mayors in four months. Meanwhile the Seattle school district is entering into its fourth year with the same superintendent. So again there is a lot of information out there it would behoove us to correct. I wish Supt Nyland well as he completes his work with the district. I find it interesting that no one has made a point of the fact that we are now going to have 4 mayors in four months. Meanwhile the Seattle School District is entering into its fourth year with the same superintendent. Above all, I want to thank my family – my children and my husband – who gave up more than I realized they would, to lend me to you. Thank you for your patience and love. You know more about the complexities of a school district than any teenager should ever have to know. 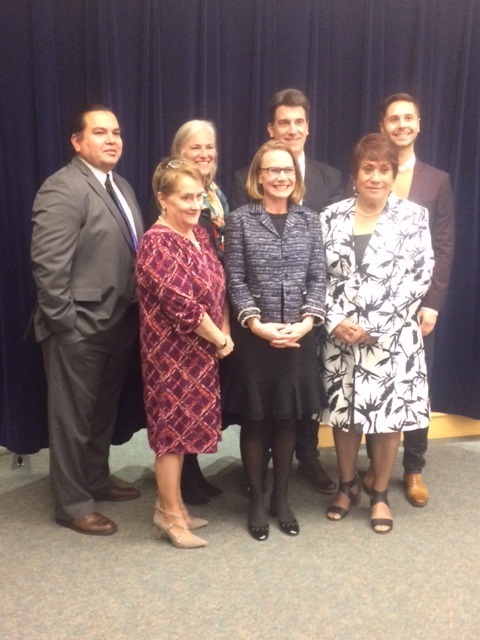 On Nov. 28, election results were certified and Seattle School Board Directors Betty Patu (winning her third term representing District VII), Eden Mack (taking over from me as representative of District IV) and Zachary Pullin DeWolf (replacing Stephan Blanford in District V) were sworn in. It was standing room only, one of the best-attended School Board swearing in ceremonies I can remember. Guest keynote speaker was State Superintendent of Public Instruction Chris Reykdal, invited by Board Vice President, Leslie Harris, who also ably MCed the event. Among the guests, State Representative Gerry Pollet and former Interim Mayor Tim Burgess. Today, Dec. 6, at 4:15 pm. the new board will sit for its first legislative meeting. I wish them the best. 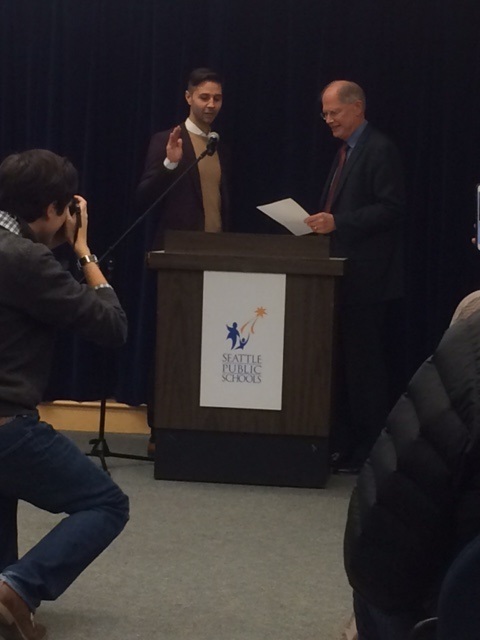 Congratulations to Newly Elected (and Re-elected) Seattle School Board Directors Eden Mack, Zach DeWolf & Betty Patu! Warmest congrats to Eden Mack and Zachary DeWolf and Betty Patu on their decisive wins in the general election on Nov 7. Results will be certified tomorrow, Nov. 28th, and they will be sworn in as official members of the Seattle School Board at 6 pm. Welcome to the Board, Eden and Zach. And congratulations to Betty for winning her third straight election. 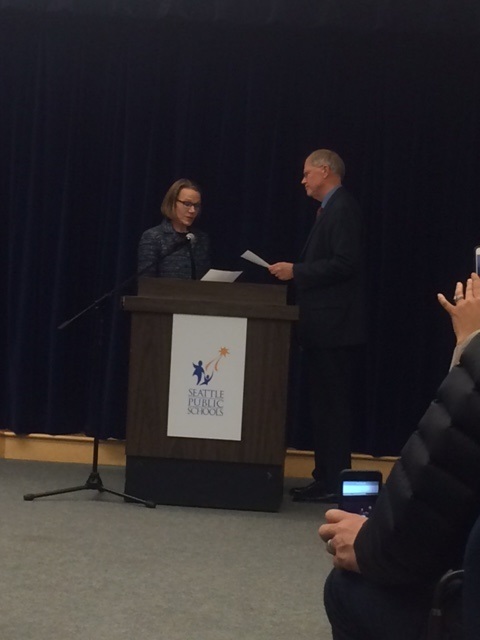 She is now one of the longest-serving Seattle School Board directors in recent memory. 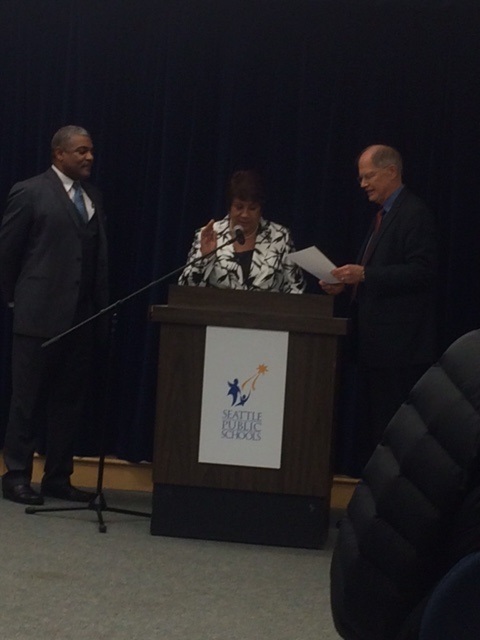 She will bring valuable institutional memory and experience to the Board and District. Thank you Seattle voters for choosing wisely. Top 10 Reasons to Vote for Betty Patu for Seattle School Board! 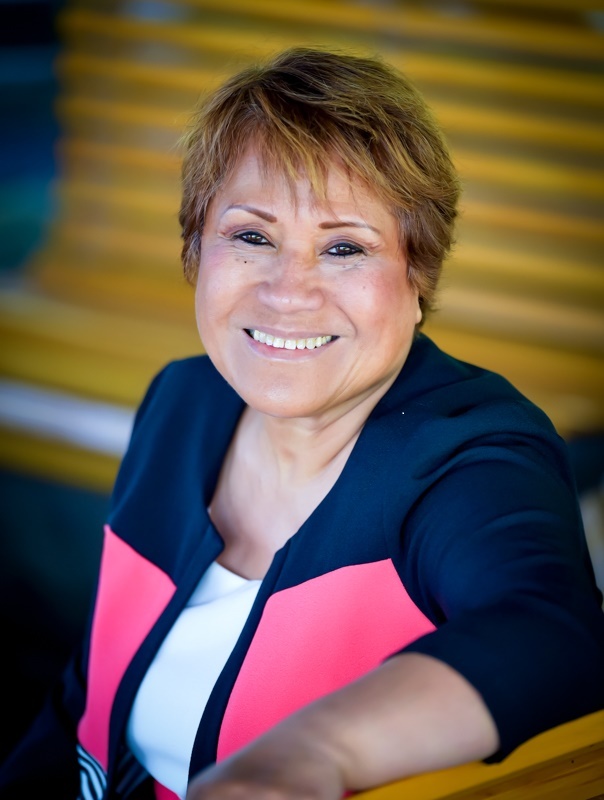 BETTY PATU is the only candidate with over 30 years of extensive experience with Seattle Public Schools. She has firsthand knowledge of the district’s communities, challenges, successes and goals. BETTY knows the job. With 8 years of experience overseeing the district’s $1 billion budget through good times and lean, she brings valuable knowledge and continuity to the Board. BETTY is focused on equity and results. She voted for the District’s groundbreaking Racial Equity Policy, supported a moratorium on K-5 nonviolent suspensions, helped to align school start times to better meet student needs, and has brought programs like International Baccalaureate to Rainier Beach High School and Science Technology Engineering and Math (STEM) to Cleveland High School. BETTY has deep roots in the communities she represents. A native of American Samoa, she has lived and served in Southeast Seattle for decades. BETTY has skin in the game. All five of her kids graduated from Seattle Public Schools and she now has grandchildren following in their footsteps. BETTY has a proven commitment to student success. As a founder of intervention programs that helped hundreds of at-risk students, her work was featured in the New York Times, and earned the United Nations’ Humanitarian Award, Patty Senator Murray’s “Golden Tennis Award,” and many other honors for her valuable community service. BETTY is a proven civic leader. 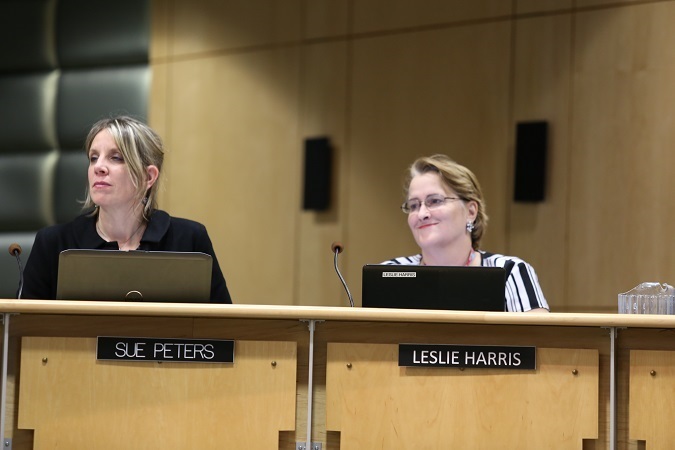 She has served as Seattle School Board President, Vice President, Chair of the Executive and Operations Committees, and the District’s City Liaison. BETTY is highly qualified. 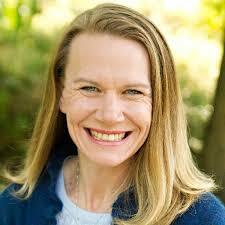 She has a Master’s degree in education administration, a degree in nursing, and experience working as a teacher. BETTY is endorsed by a broad coalition that includes: The Stranger, the Seattle Weekly, The Medium, Democratic and labor organizations, including the 32nd, 34th, 37th, 43rd and 46th District Democrats, the King County and the Metropolitan Democrats, Local 609; State Senators Maralyn Chase and Bob Hasegawa, State Representative and House Education Committee Chair Sharon Tomiko Santos, King County Councilmember Larry Gossett, Head of the City’s Dept. of Early Learning, Dwane Chappelle, five of her six colleagues on the School Board, education leaders including Estela Ortega (El Centro de la Raza), Rita Green (NAACP), Sebrena Burr (Seattle Council PTSA), parents, teachers and students district-wide. BETTY is committed to public education. Unlike her opponent, she does not support diverting resources to charter schools. *BONUS REASON! * BETTY is the only candidate in the race not funded by corporate sponsors of charter schools and Teach for America, Inc. (Leaders in Education).